The Trefaldighetskyrkan (Holy Trinity Church), also known as German Church, is located at the south side of the great marketplace Stortorget, in the center of Karlskrona. 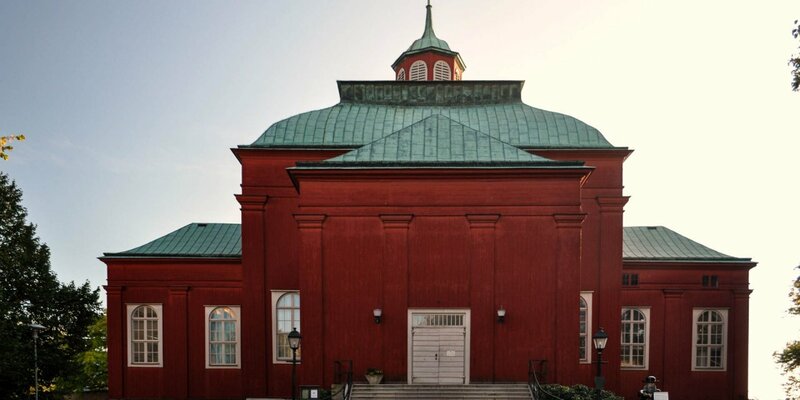 Trefaldighetskyrkan was built in the style of the Pantheon in Rome with an octagonal base and a domed roof. The entrance portal is directed to the marketplace and designed as a freestanding open porch carried by four columns with a triangular pediment, a so-called portico. In the same size as the entrance three aisles are attached around the round body of the church. 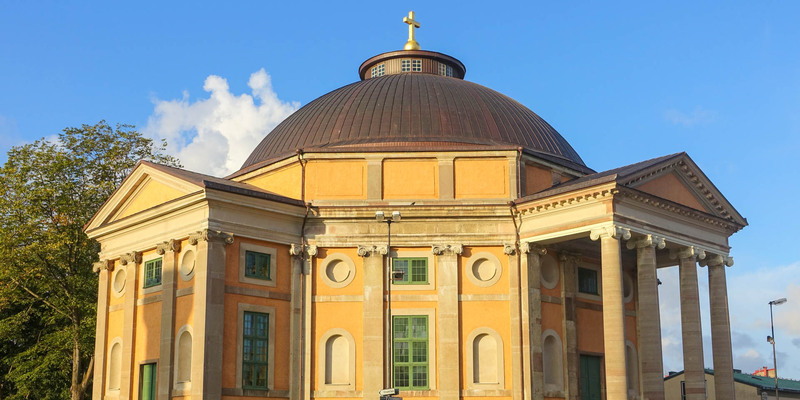 As well as the adjacent Fredrikskyrkan at the east side of the Stortorget, both churches are one of the most imposing buildings of classical Roman baroque in Sweden. 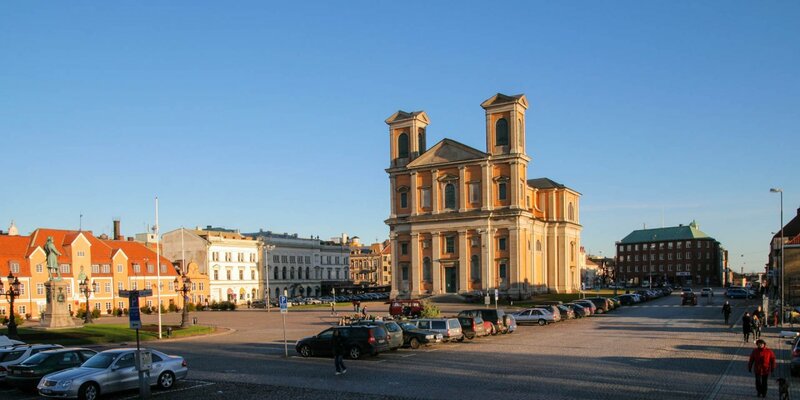 Large parts of Karlskrona were declared UNESCO World Heritage site in 1998 and both churches are part of it. The Trefaldighetskyrkan is still a consecrated church, where services are held regularly. It also houses the visitor center for the World Heritage city. The Visitor Center presents a large permanent exhibition with pictures, films and historical background information of the World Heritage Marine City Karlskrona. 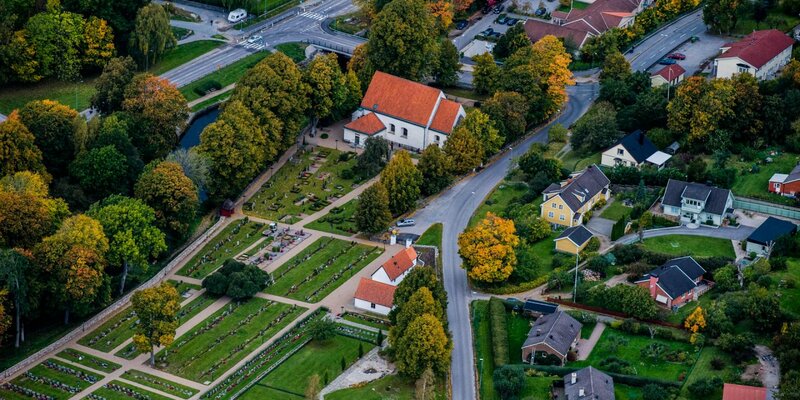 The Holy Trinity Church was built from 1697 to 1709 for a relatively large German community in Karlskrona. It was designed by the famous architect Nicodemus Tessin the Younger. During the great city fire in 1790 the church was badly damaged and then rebuilt according to the original plans over a period of 12 years. Only the new roof dome has been made somewhat simpler and smaller than the original version. The original church organ with 20 registers from Stralsund became like all the rest of interior a victim of the flames. After a temporary solution with a significantly smaller organ, the church got its present organ with 22 registers in 1827.